WWDC has been the springboard for many a significant announcement over the years, along with the great opportunity for Apple developers to get to know the latest and greatest advancements within OS X and iOS. 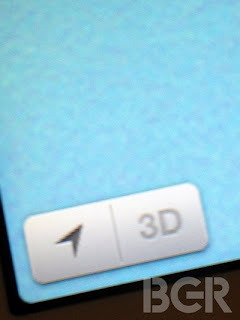 With the previous reports about Apple working on an in-house app that will ditch Google maps in the upcoming iOS 6, some of Apple’s 3D map app screens have recently popped up online. For those who are not aware yet, iOS 6 is set to finally be unveiled to the world at some point during the course of WWDC 2012. 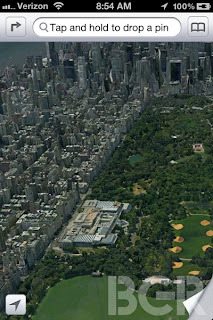 Avoiding Google Maps, which has been the part of iOS devices since the launch of the original iPhone, rumors suggest that Apple will incorporate a 3D map view into its new app. The speculations have aroused soon after Apple purchased 3D-mapping company C3 Technologies last year. You can check the images spread recently below, considered to be the leaked shots of Apple maps that will replace Google’s mapping data in iOS6. If we recall the last year’s WWDC, when the iOS 5 was first revealed, it seems quite rational to assume that iOS 6 will definitely be at least showcased this year. With plenty of things that have already been revealed, such as Apple’s own Maps; there still is a great probability that many innovations are to come, which we are not aware of. 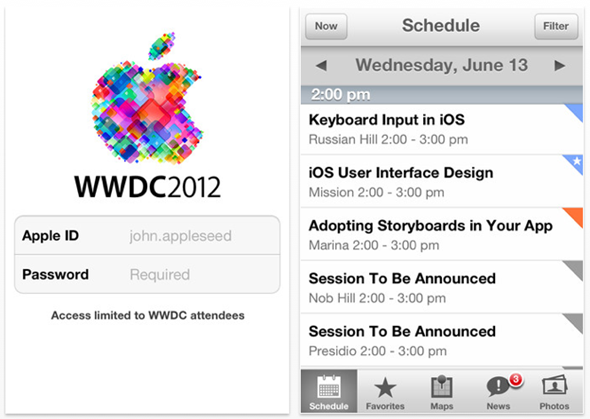 Not to miss the most important updates when WWDC finally kicks off for 2012, as well as the schedule of the conference, Apple has released the dedicated app for attendees, available to download from here. With quite a few, but still pleasant surprises, WWDC will finally shed a light on what the Fruit Company has been struggling for over the past eight months. So stay tuned and like us on Facebook to ensure you don’t miss any important notice.